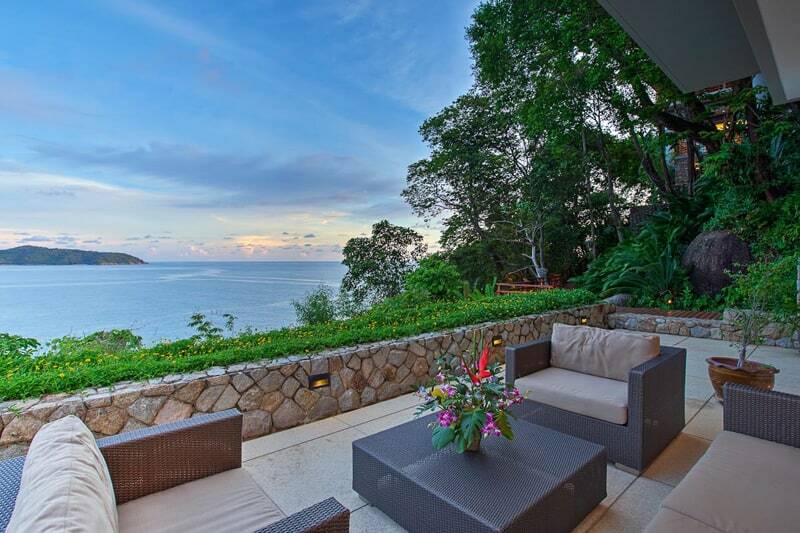 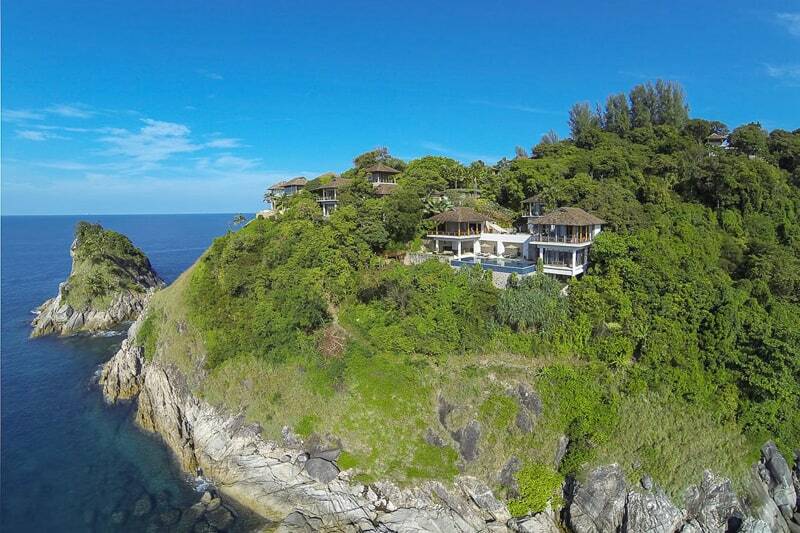 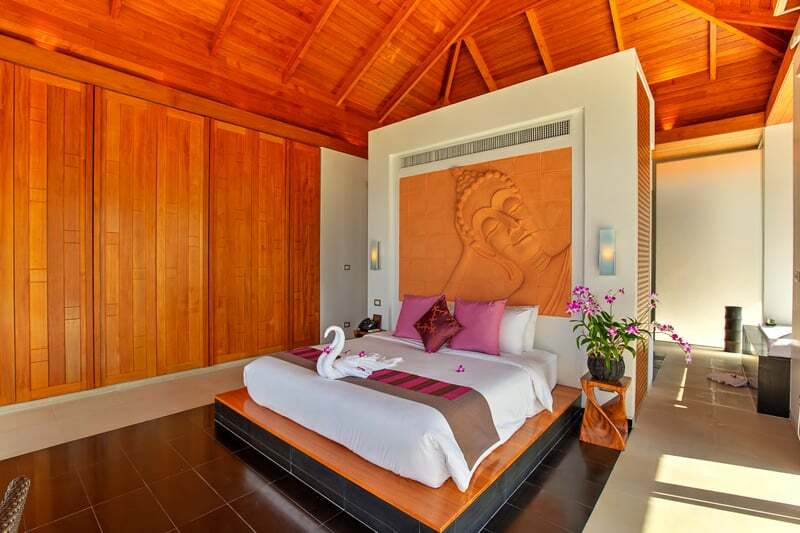 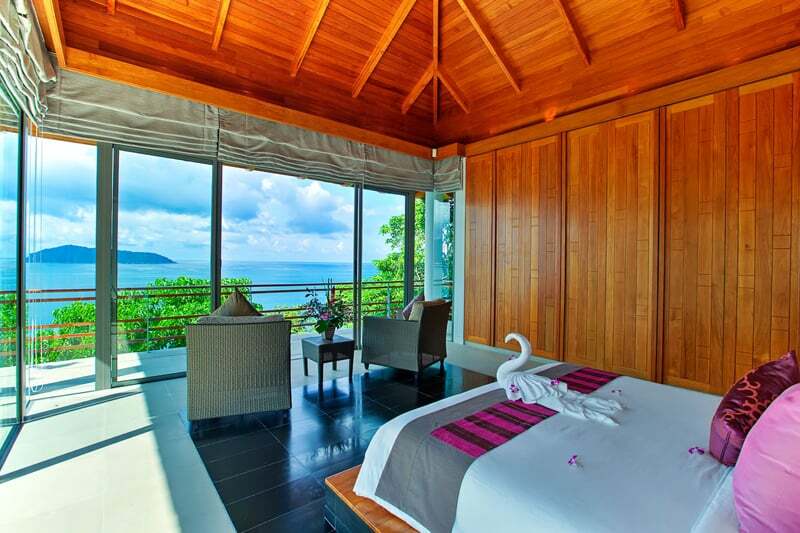 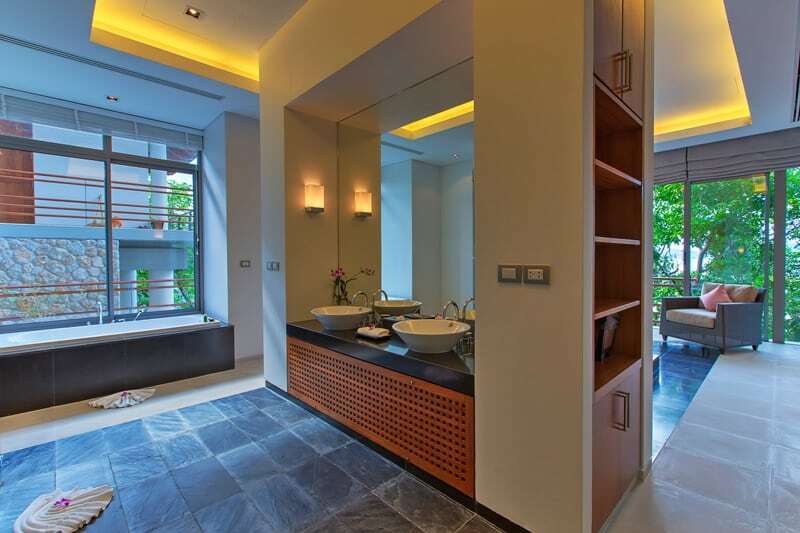 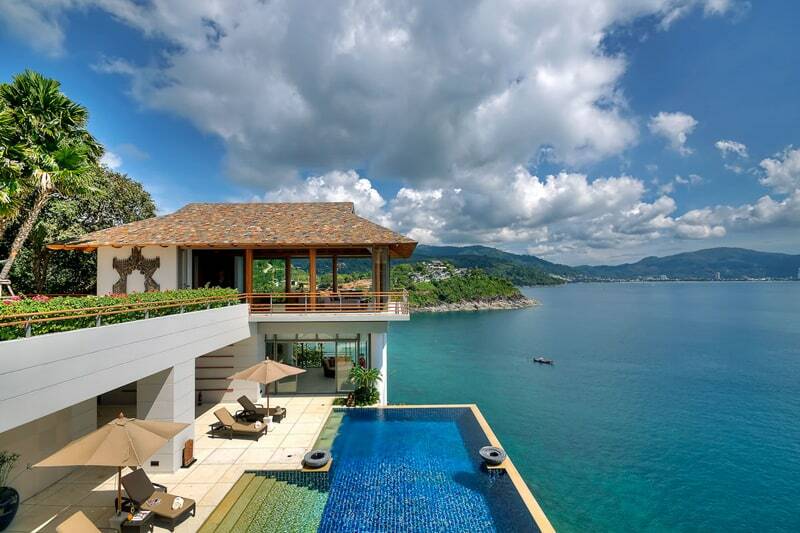 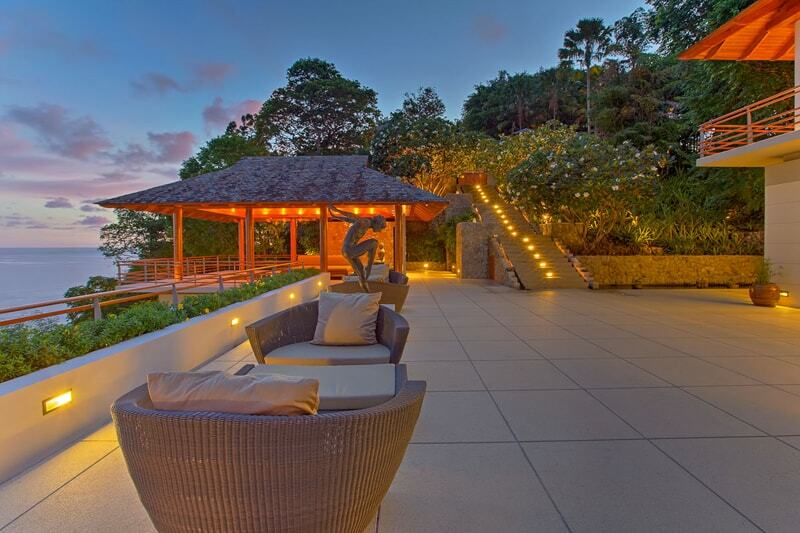 Nestled in the quiet and protected development of Villa Wang Nam Jai at the end of Millionaire’s Mile, Villa Wang Nam Jai provides guests with the most exclusive and finest villa retreat in Phuket. 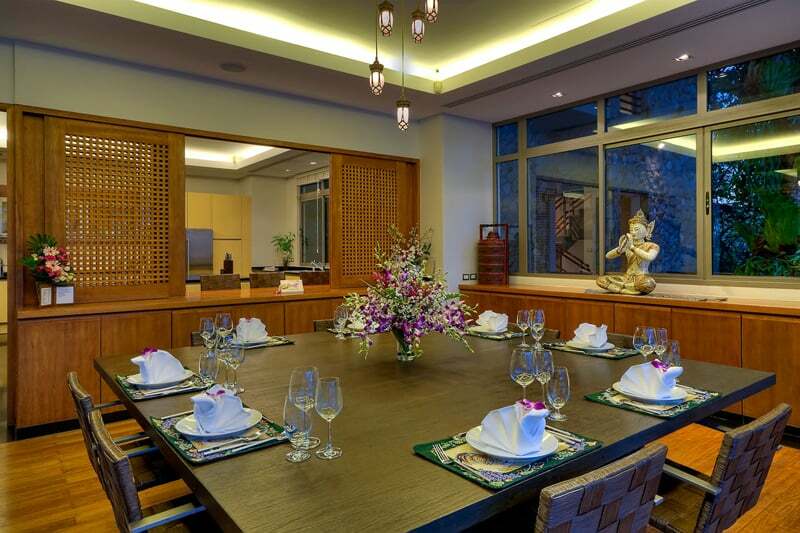 Wang Nam Jai combines visual elements of Asian style architecture with a Western design and full-length sliding glass doors and vaulted wooden ceilings lend the rooms an air of liberty and affluence. 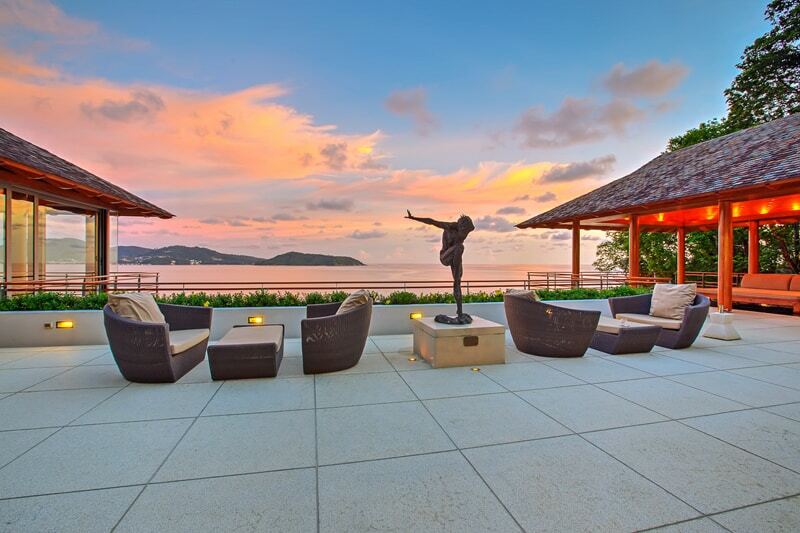 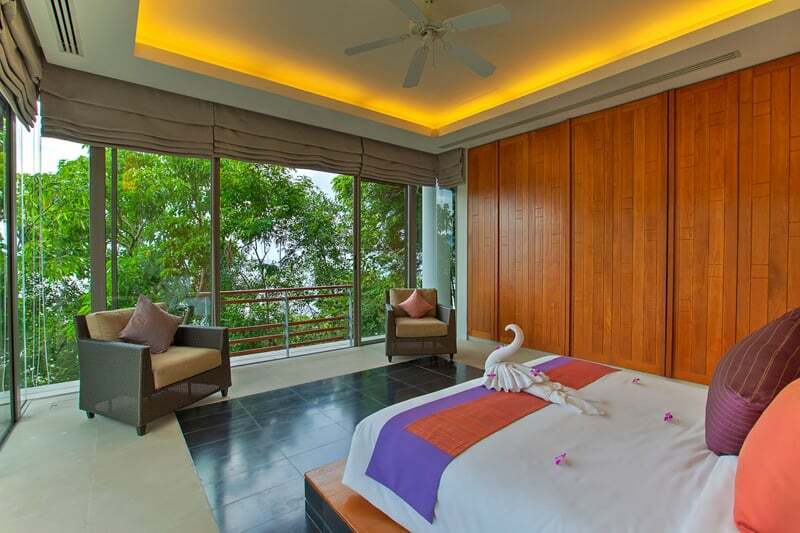 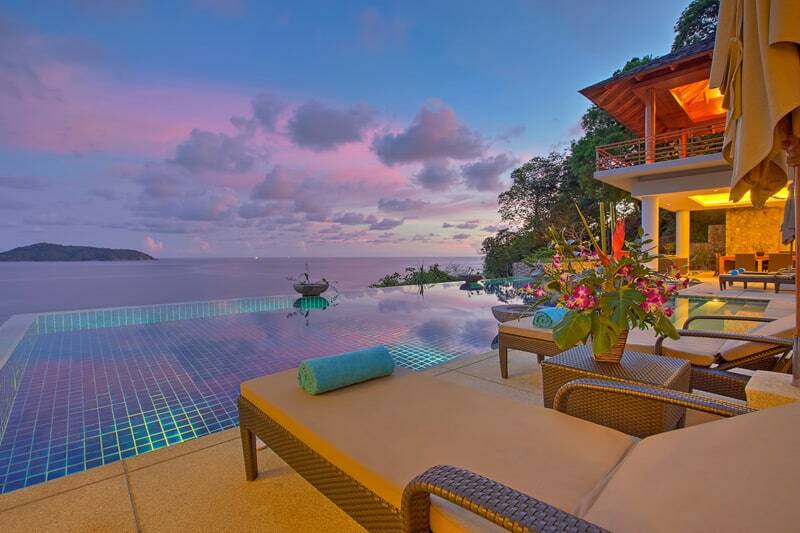 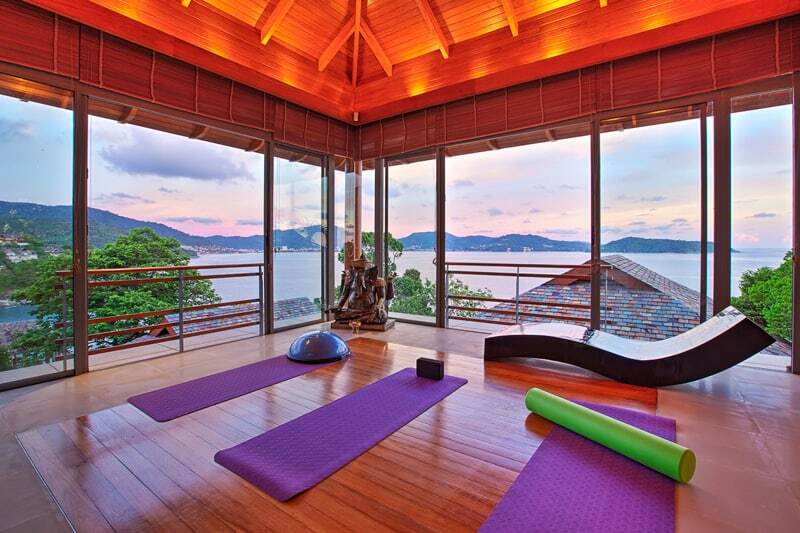 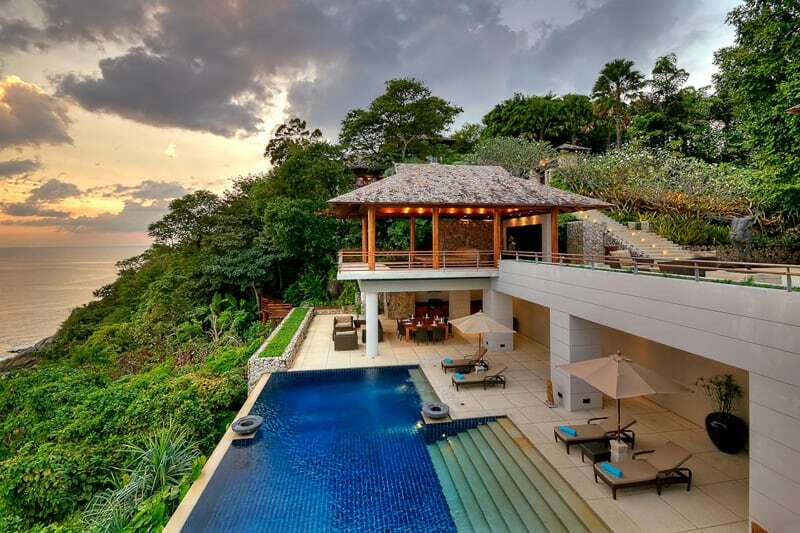 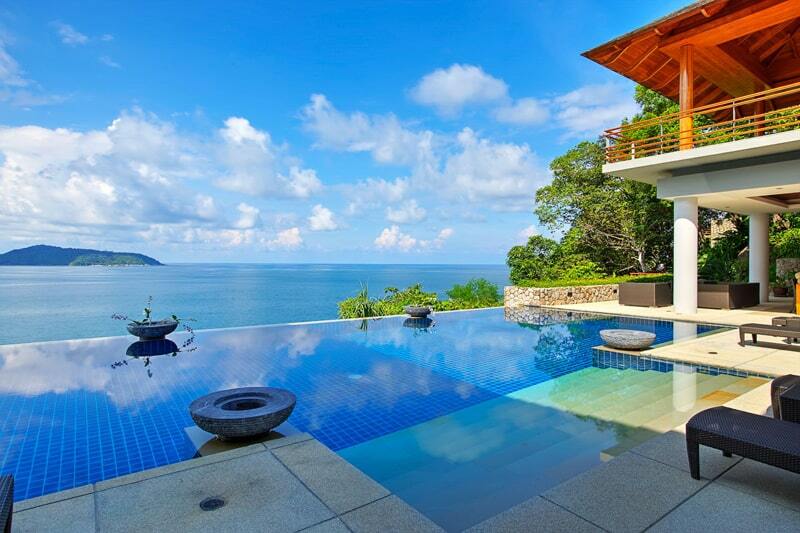 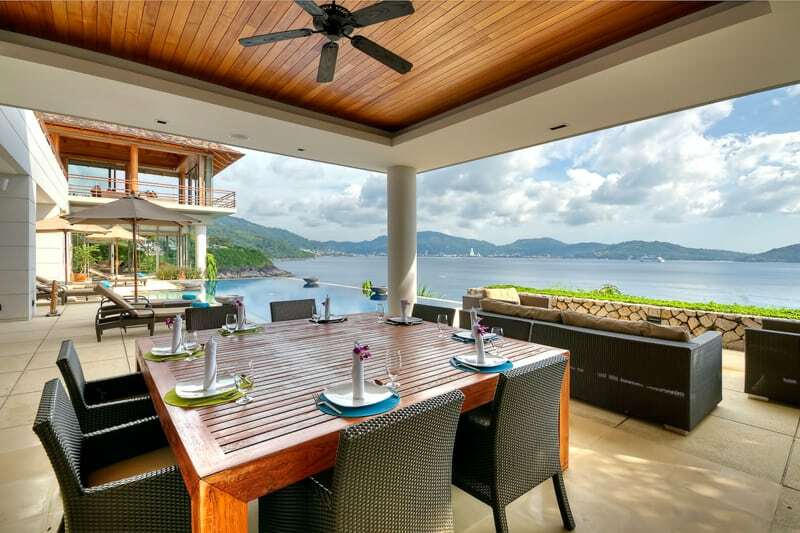 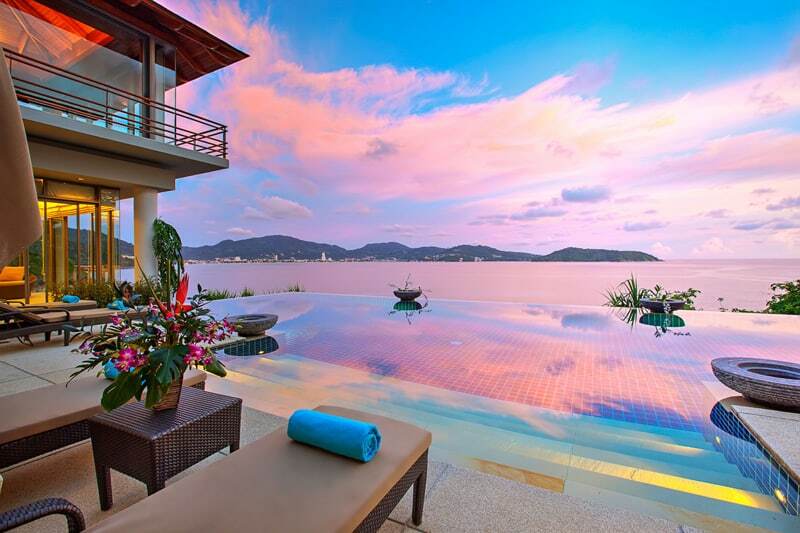 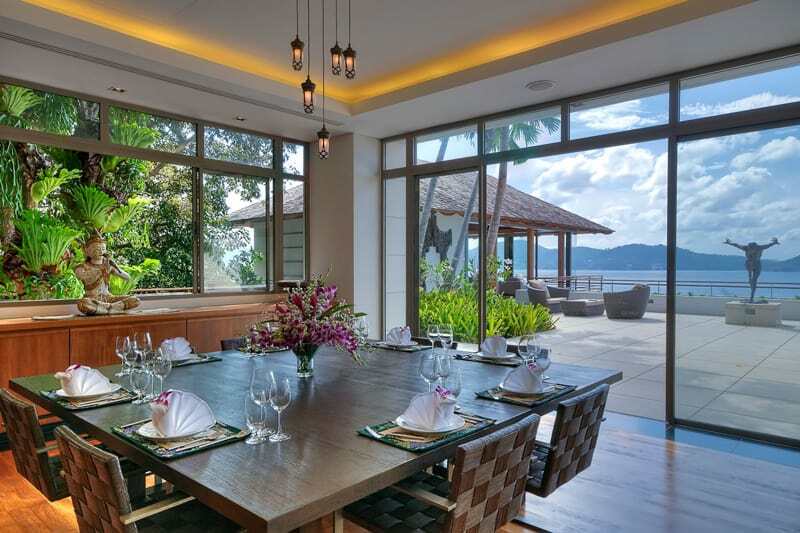 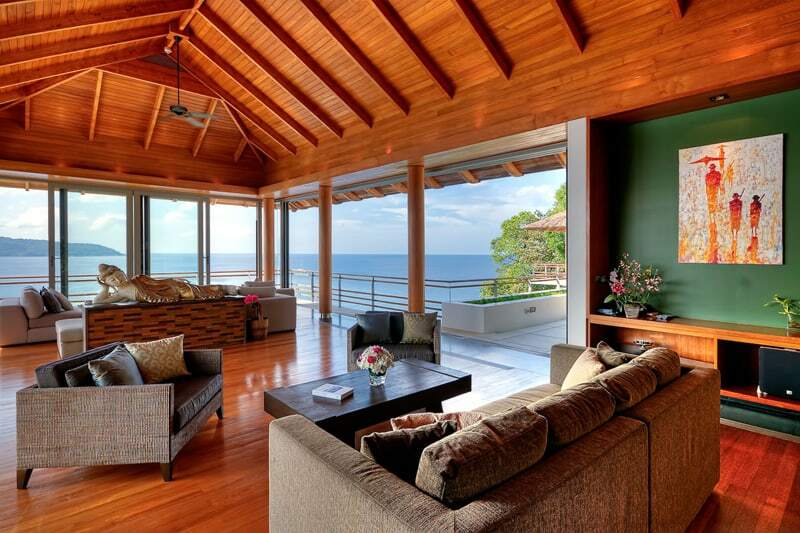 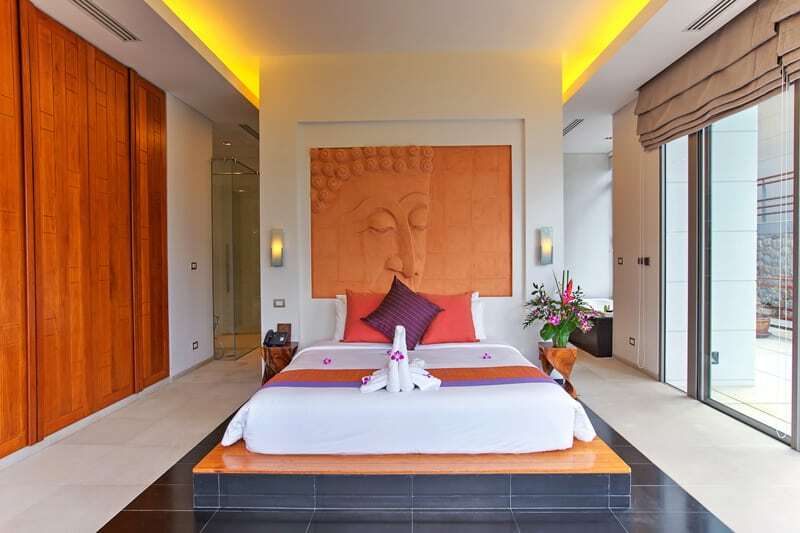 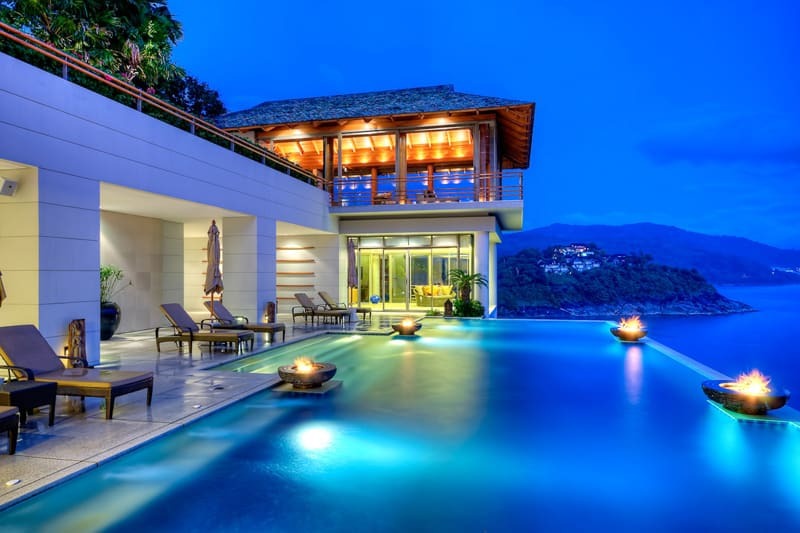 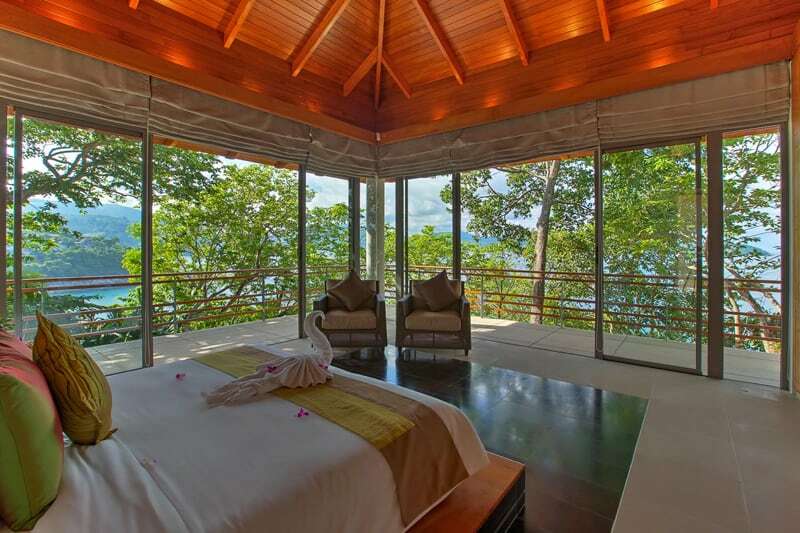 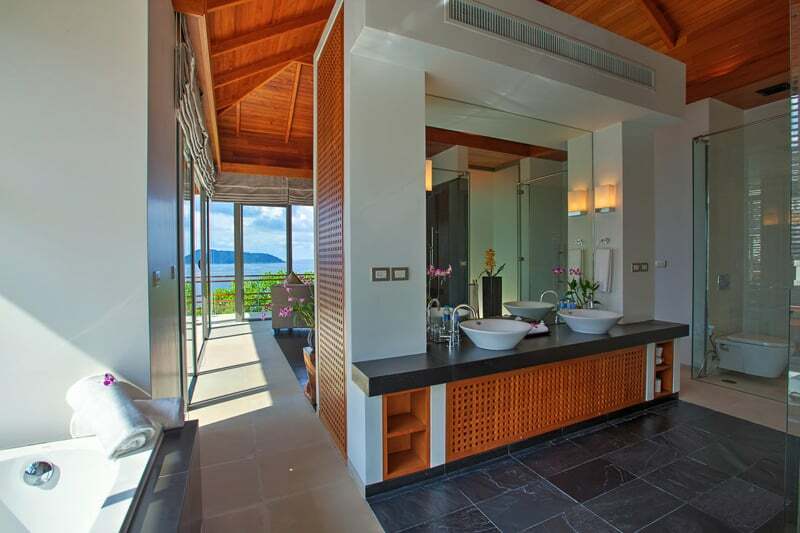 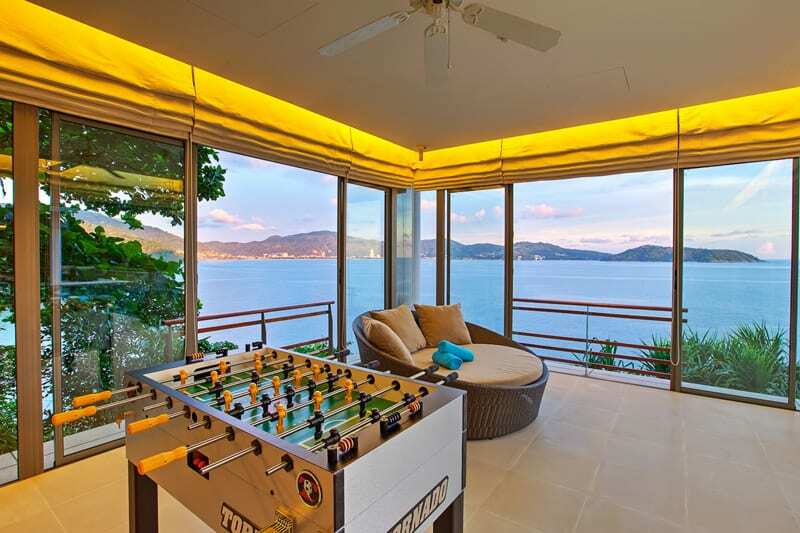 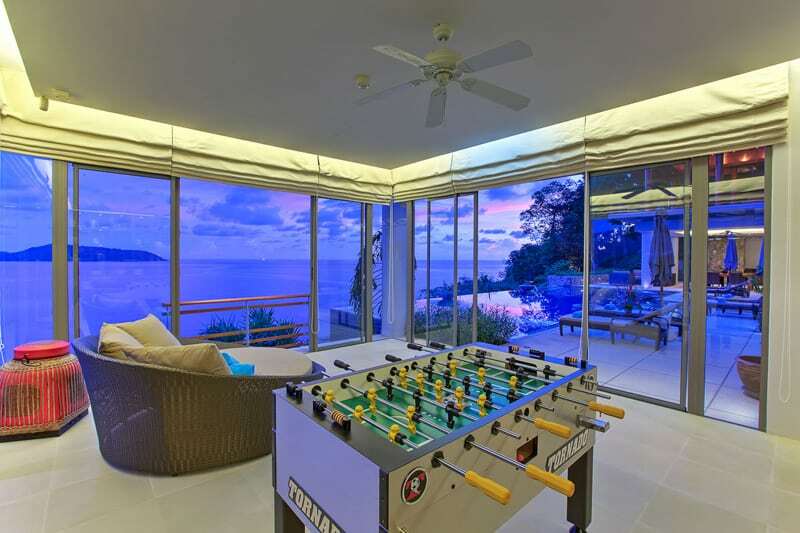 The design of the villa is truly unique and simple spanning over five floors ranging from a fitness center on the top to the glorious infinity pool overlooking Patong Bay at the bottom. 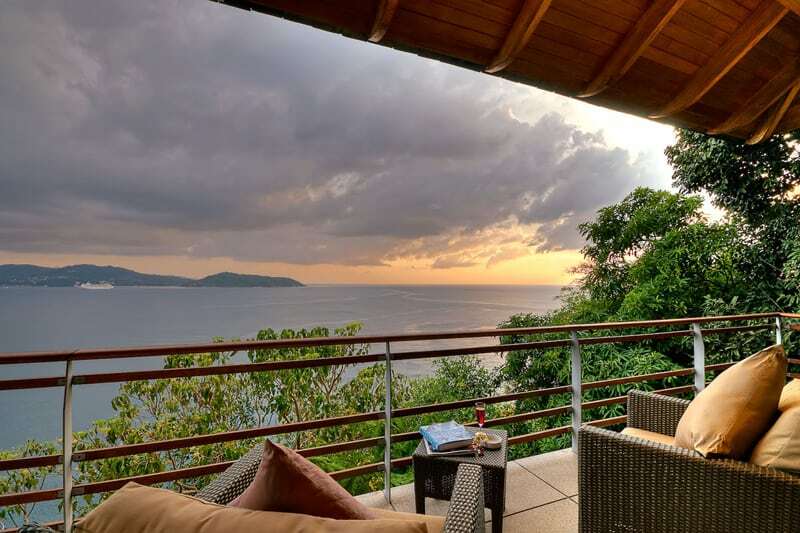 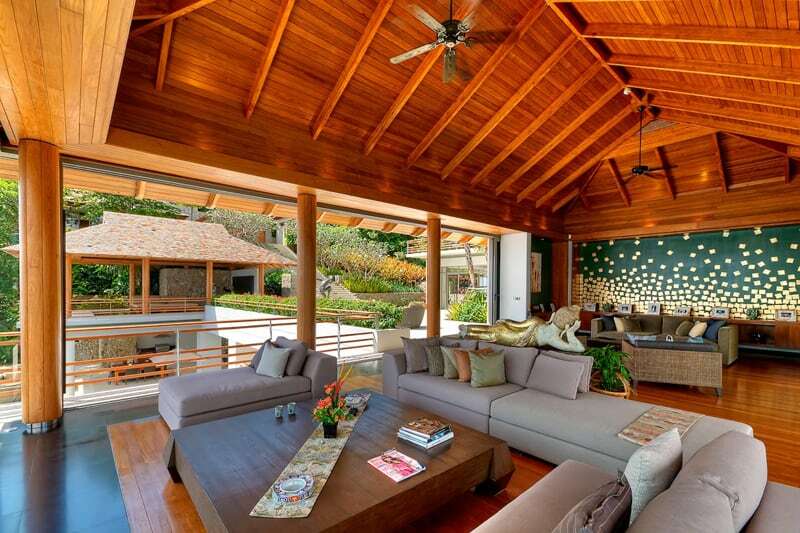 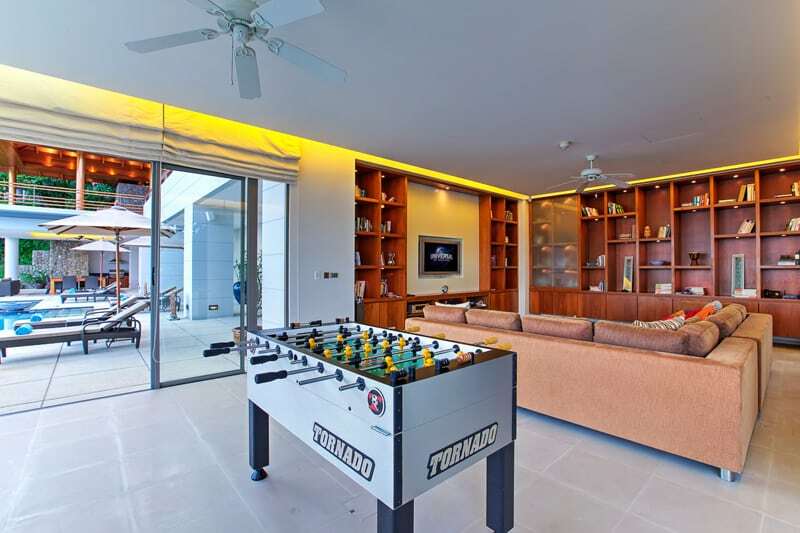 Spanning five floors, this superior vacation home can be presented as a one-bedroom grand villa or a four-bedroom mansion depending on the size and preferences of your group. 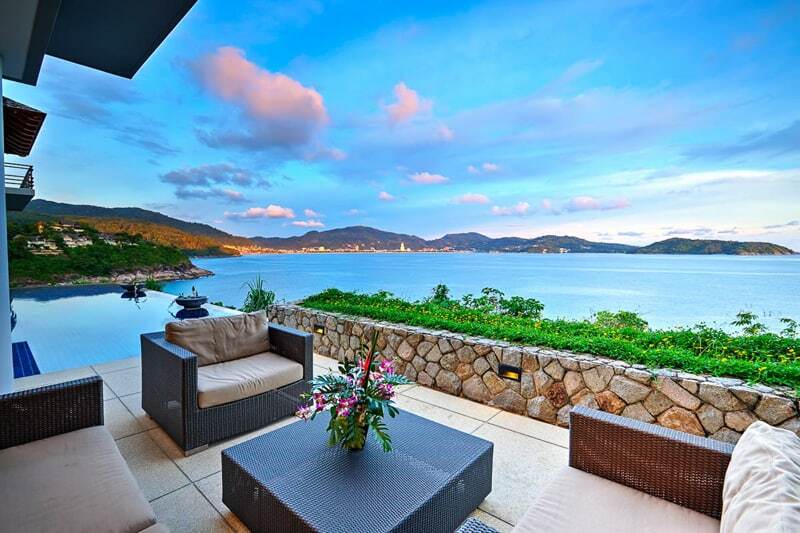 Sensational ocean views are a uniting feature of every room and there are plenty of common areas and inspiring terraces where you can meet with friends, dine al fresco or just lose yourself in the view. 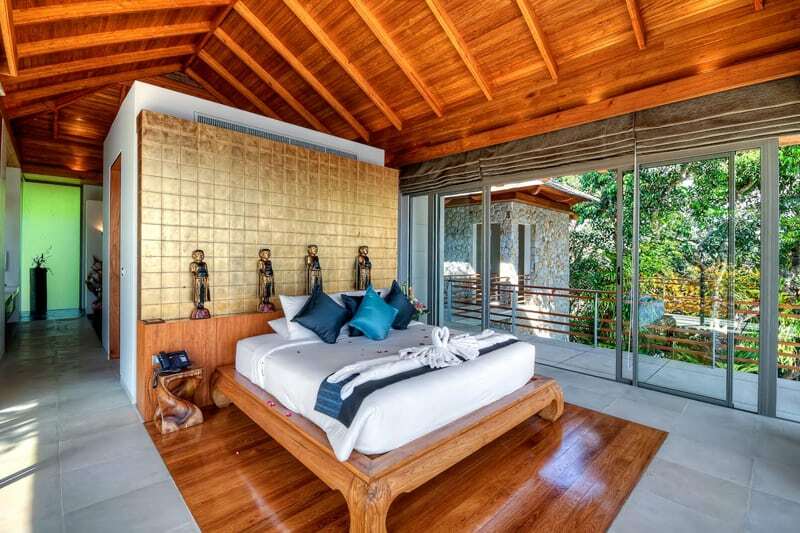 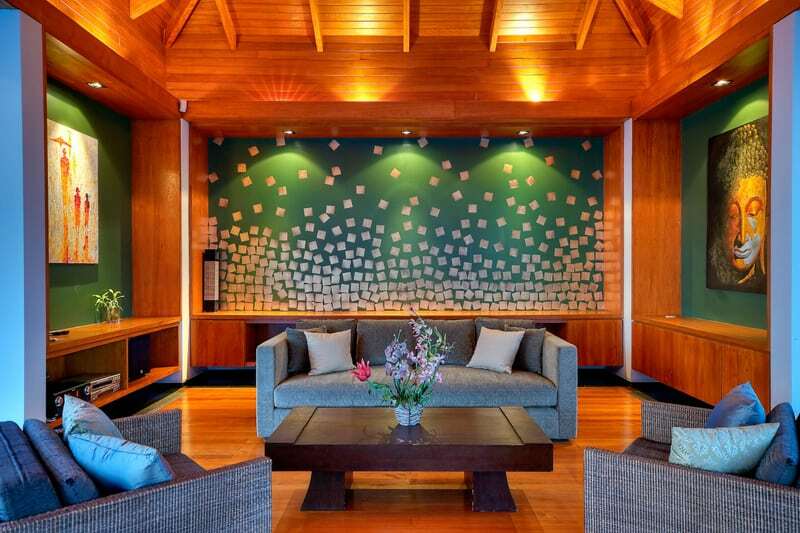 Each room is equipped with sliding doors of floor to ceiling windows and timber rooftops and flooring giving an overall light and welcoming touch to the villa. 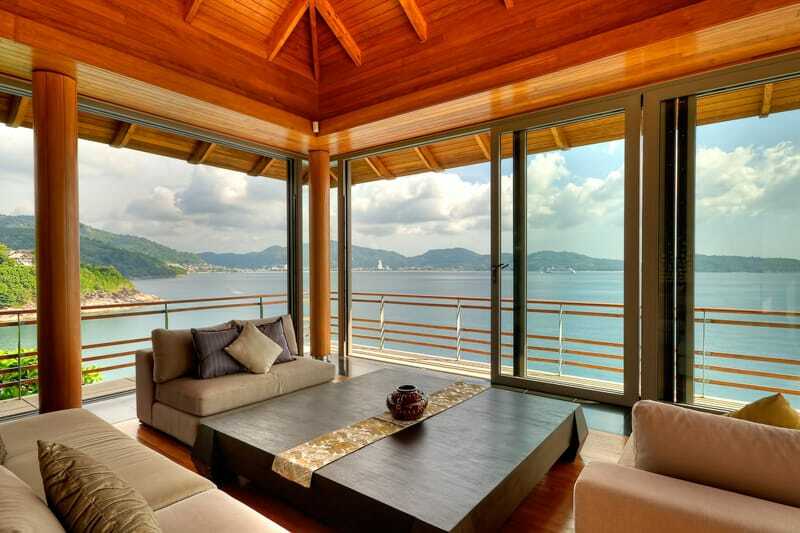 The doors in the main living room can be retracted to allow fresh sea breezes to flow through while you watch the yachts drift across the bay from the comfort of a plush sofa. 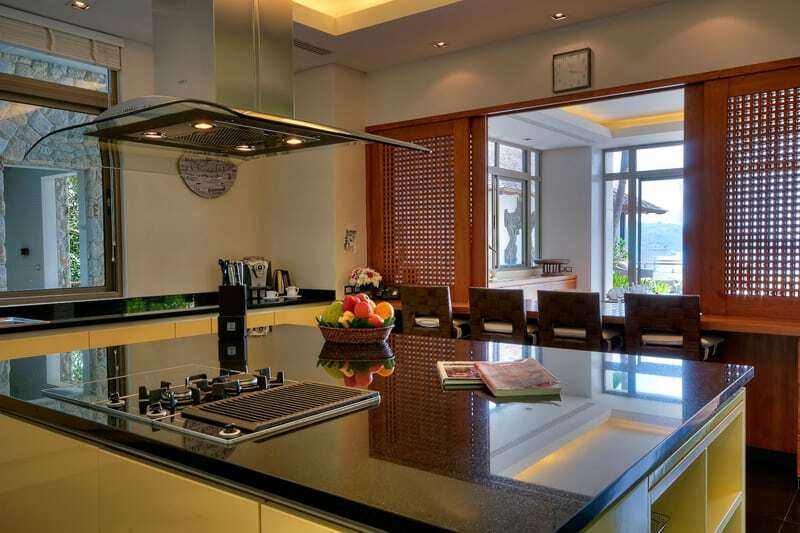 A spotless ultra-modern kitchen encourages you to whip up a feast for your family and you can choose to dine indoors or outside on the terrace. 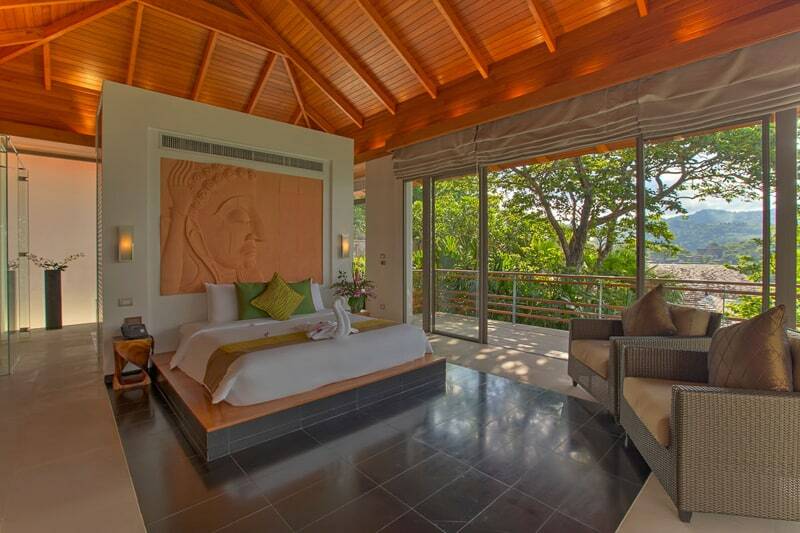 All four en-suite bedrooms enjoy magnificent views through sliding glass doors, and access to a private balcony – the ideal morning coffee spot. 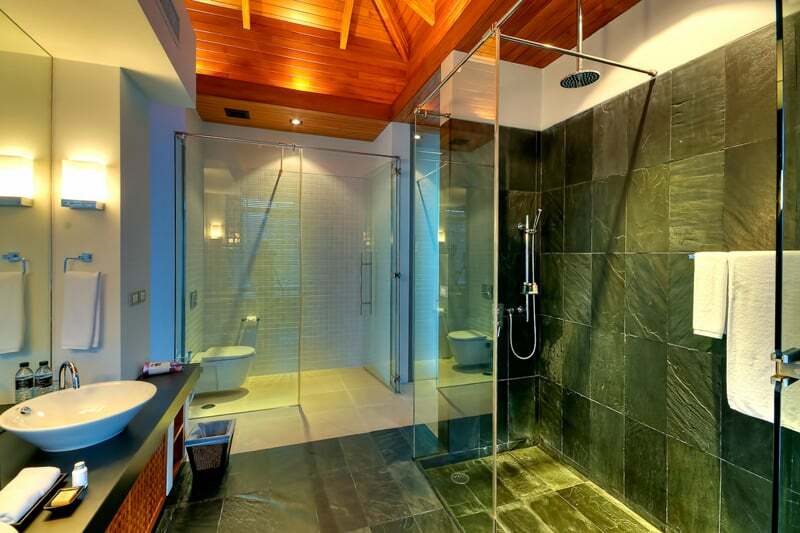 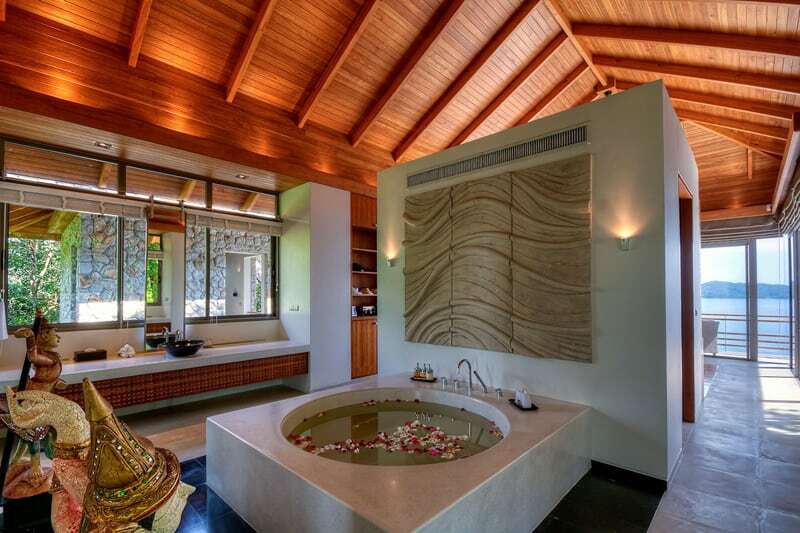 Take a rain shower or relax in the large tub before slipping under the covers of your king-size bed.